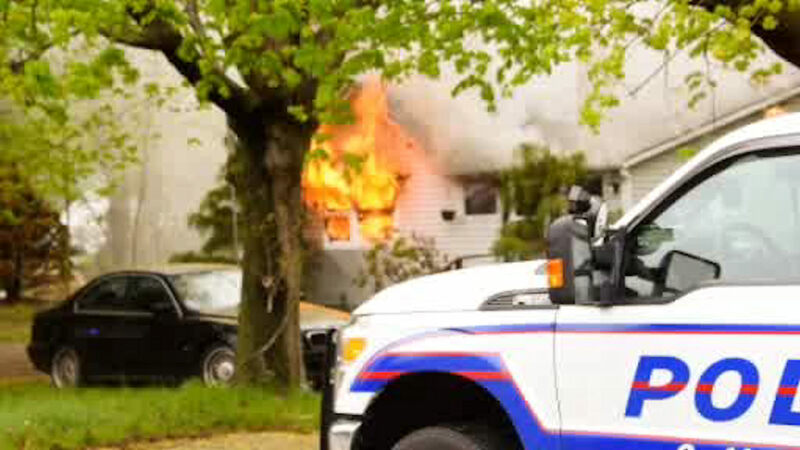 YAPHANK, Long Island (WABC) -- A man and his two dogs were shot in Suffolk County and then, police say, his home was set on fire. It happened in on Long Island Avenue in Yaphank around 5:33 p.m. on Tuesday. Sources say the man was handcuffed and then shot. The man was taken to Stony Brook University Hospital where he was treated for non-life-threatening injuries. One dog died and another was taken to a local shelter.